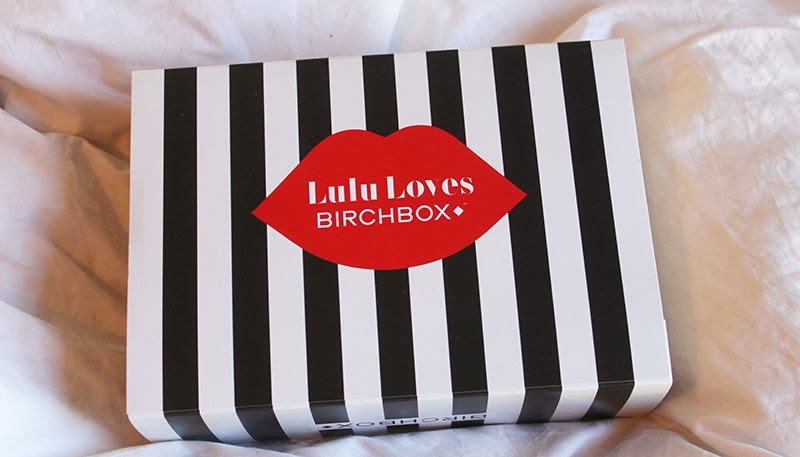 Last month I mentioned the Birchbox were collaborating with iconic British brand Lulu Guinness. 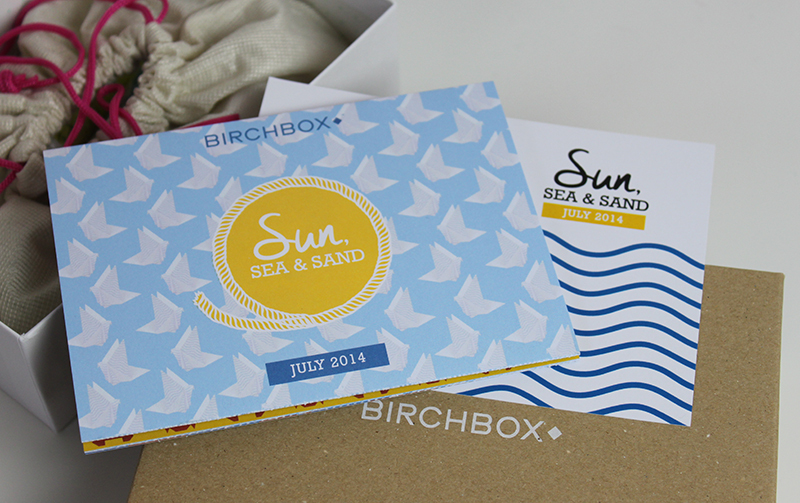 The wait it over, the box is here to help you start the new season and it’s a beautiful box at that! I was really excited to see what a collaborations with the huge fashion designers would mean and was very happy to see the box’s make over, probably my favourite beauty box design ever! 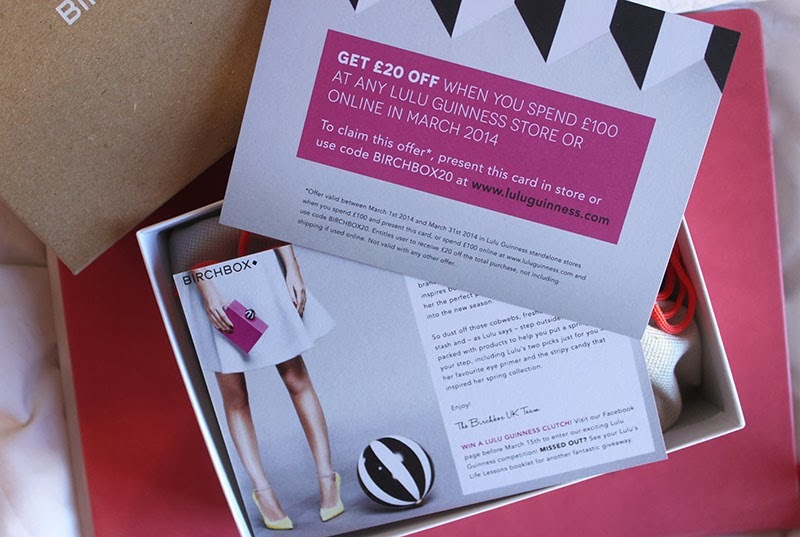 Once I opened it I saw that they are offering a £20 off code when you spend over £100 at Lulu Guinness and it has the usual menu as well. Inside it also came with the cutest little magazine that houses Lulu Guinness interview and tips which I will be keeping safe. 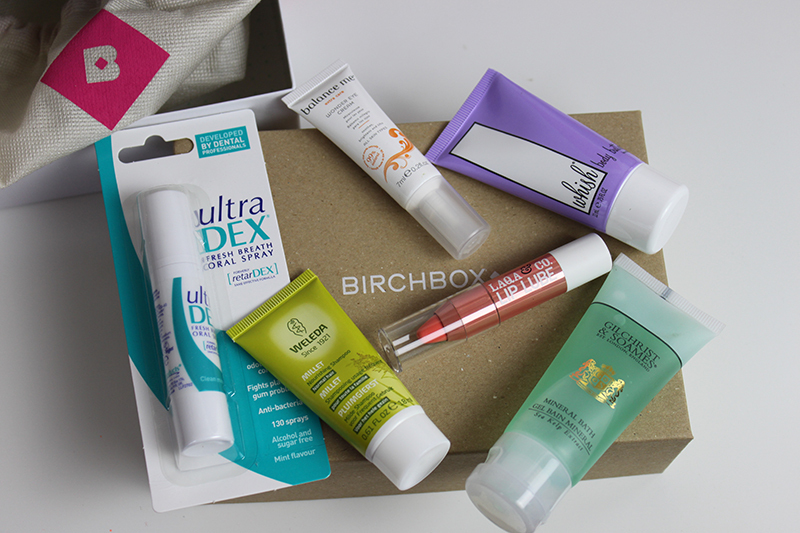 Inside the box itself are some really great brands that I love and trust! 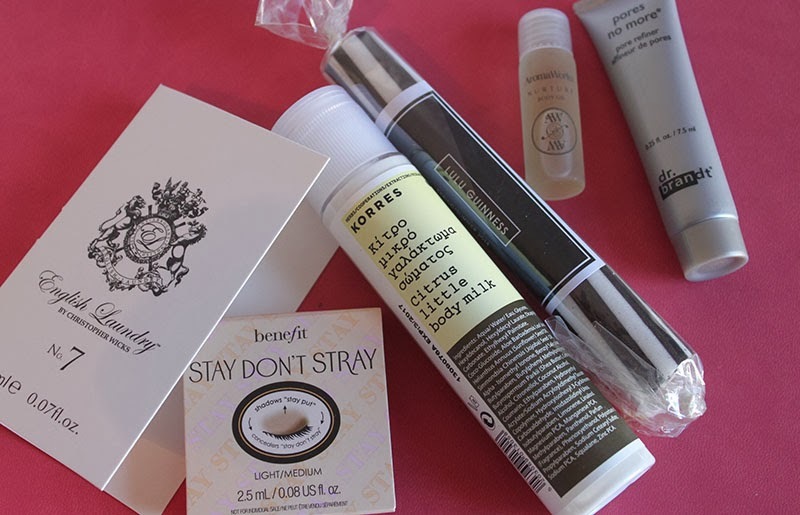 The first thing that caught my eye was the Benefit Stay Don’t stay eye primer, which is a great little sample and I believe a new product. I also am very excited to use the Korres Body Milk which smells amazing as does the No7 perfume which although is small I really like the packaging of. There is also a generous size of Dr. Brandt Porerefiner which is quite an expensive product but I had never tried before. Lastly the Aroma Works Nurture Body oil which adds the perfect final touch of luxury to the box. As an added lifestyle extra there is also a Lulu Guinness Candy Rock for all you sweets lovers! 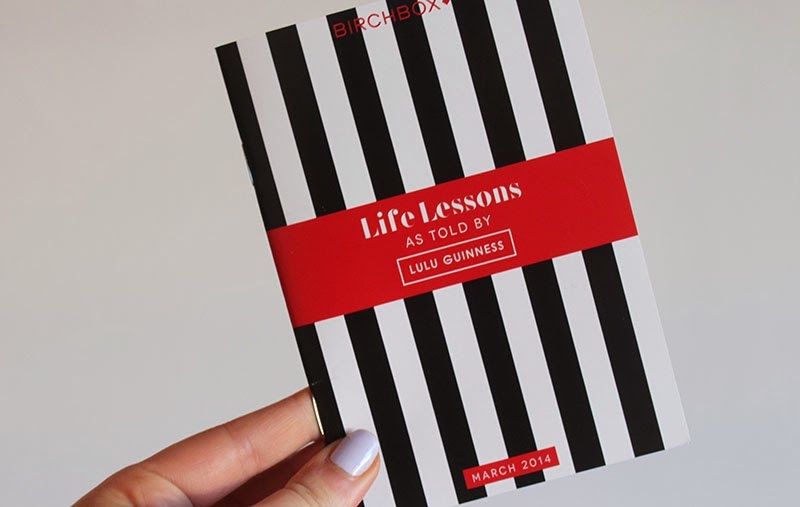 Overall a fabulous box and I can’t wait to try everything out and read through the Lulu Guinness Life Lessons added extra. This box is beautiful and filled with great little extras! 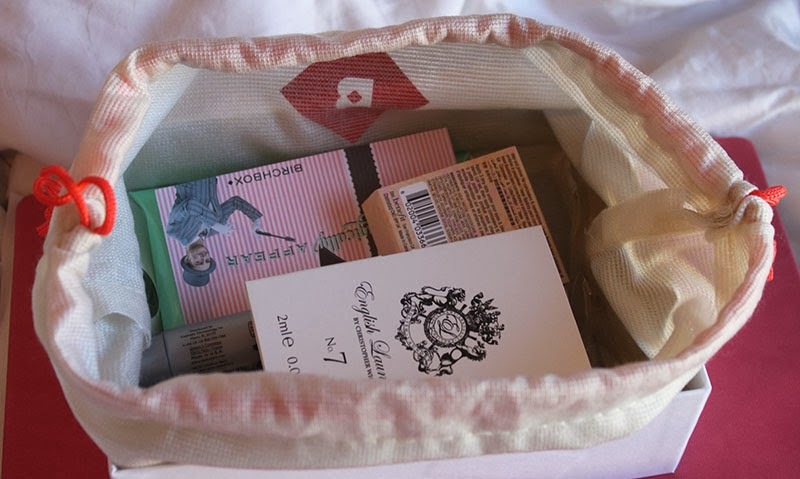 for an exclusive trio of three gifts. Code expires at the end of the month. Pstt,,, let me share a secret I only found out half way through university. 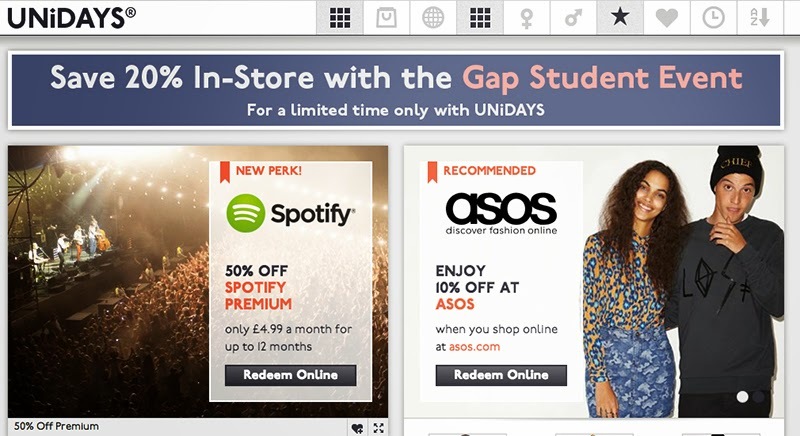 You can sign up for free (I never did spend £10 on the NUS Card) to Unidays which gives you great discounts online and you can download the app for great instore discount. Some of the best offers include discounts in ASOS, Motel, Missguided and Boohoo- perfect if you are still looking for a few freshers dresses. 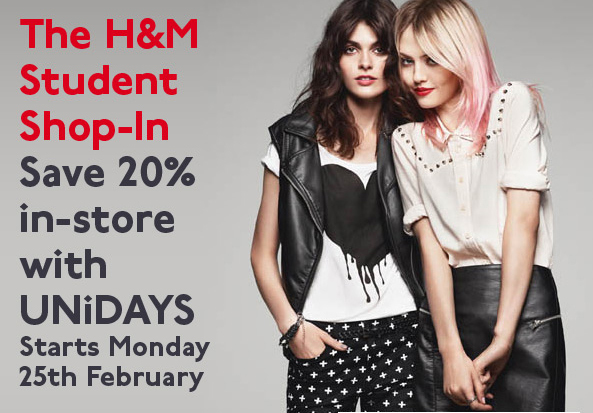 They are also offering 20% off in GAP and H&M for a limited time only by downloading the app. ….and try not to blow your entire student finance all at once! One of the (few) perks of being a student is student discount, everyone always says they are very jealous of students because of this. That is why I thought I would share with my student readers UNiDays. I have blogged about it before; it’s free and easy to sign up to previously it was only online but there is now an app which you will soon be able to use in stores such as French Connection, Schuh, Urban Outfitters, Paperchase AND… H&M! I already have a list of things to buy!